Boat Race Day, 2015. 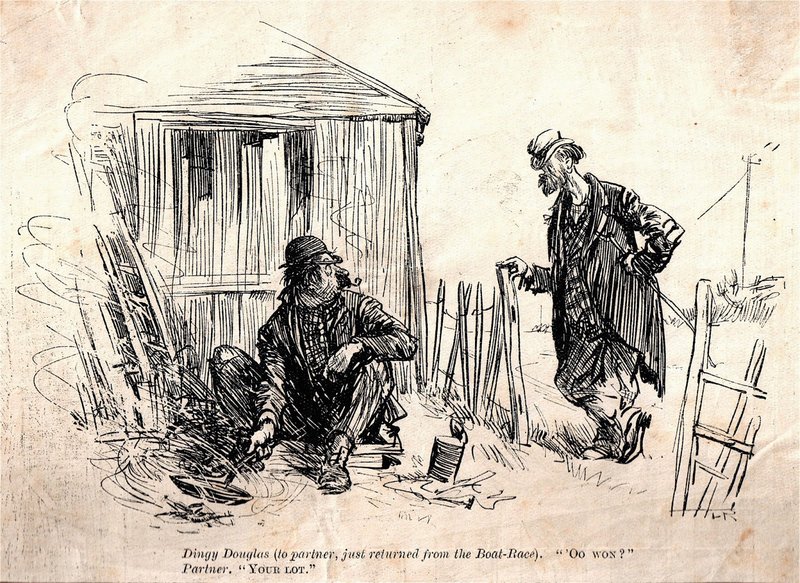 An example of ‘a bunch of poshos rowing higher up the social hierarchy’? Tim Koch finds someone who has sullied the good name of the Internet. More than one observer has noted that ‘you can be anything that you want on the Internet – so it’s strange that so many people choose to be ignorant’. In HTBS’s field, cyberspace has no shortage of ill-informed rants against those involved in the sport of rowing in general, and Henley and the Boat Race in particular. Even people who would never apply the same degree of bigotry to, for example, issues of class, race or sexuality, seem to feel that many of the world’s ills come from, or are symbolised by, people who find pleasure in the movement of boats by oars. Most anti-rowing polemics are simply not worth responding to, but when they come from a source or a person that should know better, I feel that reciprocation is needed. In 2017, I was highly critical of Dr Neil Wigglesworth for his views on the Oxford – Cambridge Boat Race as I felt that the author of The Social History of English Rowing should know better. Recently, I came across another piece concerning the Boat Race that I have been moved to comment on as its intolerance and inaccuracy seems unworthy of the respected newspaper in which it appeared. 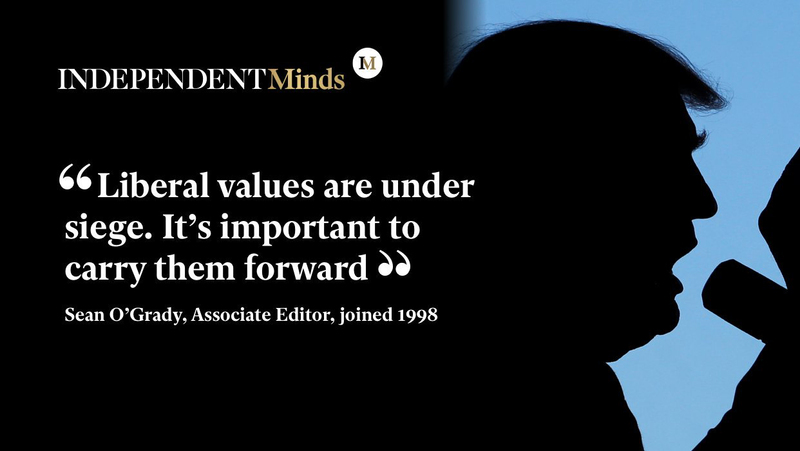 The Independent was established in London in 1986 as a national quality newspaper with the banner ‘free from party political bias, free from proprietorial influence’. It has a liberal-left stance, making it a competitor to The Guardian. Since March 2016, it has only been available online. I would not expect such a publication to distribute hateful and ill-informed views. Sadly, I have only recently discovered one of its 2018 articles that does just that. An online advertisement for the “Independent”. The day before last year’s Boat Race, the Independent’s Associate Editor, Sean O’Grady, published an article with the title (spoiler alert), ‘The Boat Race? No thanks. I can think of better things to do than watch a bunch of poshos rowing higher up the social hierarchy’. It is a strange, bad-tempered, slightly confused, seemingly rushed piece that attempts to make an arguably valid political point using a most peculiar understanding of the Oxford – Cambridge Boat Race. It is difficult to imagine that it would have appeared in a ‘paper’ version of the Independent, and it seems to demonstrate that even respectable publications sometimes have lower standards online than they have on the printed page. Sections from O’Grady’s piece are in italic bold. They are interspersed with my comments in regular typeface. It is novel, indeed refreshing, for a journalist to start a piece by saying that he has no knowledge of what he is writing about. Both the five million TV viewers and the 250,000 of us who actually ‘traipse down’ to the Thames every Boat Race Day would not recognise O’Grady’s description of that which he has avoided seeing. I have observed many Boat Race crowds and have seen few obvious Oxbridge alumni, few patently posh and/or wealthy people, few idiots (braying or taciturn), and witnessed little Champagne been quaffed or even sipped. The only chance to display any form of superiority would be to actually succeed in getting a Range Rover (or even an Austin Allegro) anywhere near the course on race day. Ironically, the occasion is actually the antithesis of what O’Grady says it is. 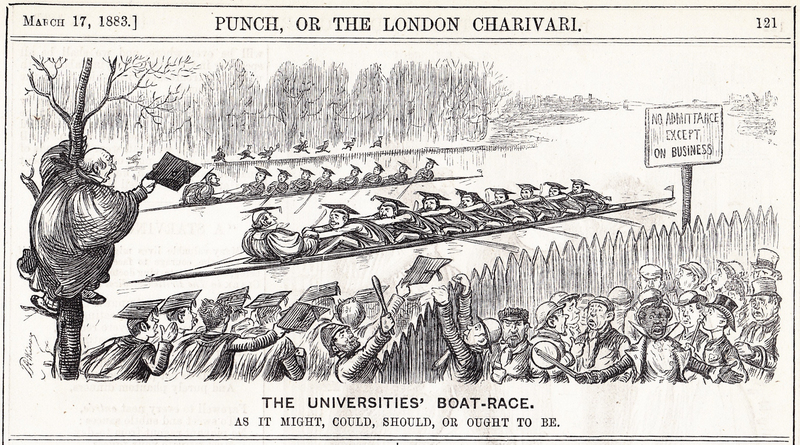 An 1883 idea of what the Boat Race ‘might, could, should’ be in the (then) future. Strangely, it also shows what Sean O’Grady thinks is the case today; ‘poshos’ rowing and spectating, ‘hoi polloi’ excluded. With ideas nearly one-hundred-and-forty years out of date, O’Grady should be writing for the “Daily Mail”, not the “Independent”. The main function of the Boat Race, in fact, is to offer an annual opportunity for them wot went to Oxbridge to remind anyone who’s interested, or not, about the quality of their education (and much else, of course, as implied by that). So, the ‘main function’ of the Boat Race is to boast of Oxbridge intellectual and social superiority? It seems a very elaborate and expensive way of sneering at the oiks. One of Oxford graduate O’Grady’s few entirely accurate statements in his piece is ‘If all this sounds like the bitter outpourings of some class warrior, it is’. It hardly qualifies as sport, and, from what I’ve heard of it, has suffered from its fair share of minor scandals about (in effect) non-students becoming members of the crew. I am not sure if ‘it’ applies to rowing in general or to just the Boat Race, but the idea that either ‘hardly qualifies as sport’ is an unusual one that O’Grady should really explain further. If he does not, it gives the impression that this is a patently ludicrous statement, even for those who the sport of rowing leaves baffled and bemused. Further, I hope that ‘from what I’ve heard’ (perhaps from a man in a pub) is not typical of the Independent’s fact-checking. As I wish I had once said, ‘everyone is entitled to their own opinion, but not to their own facts’. 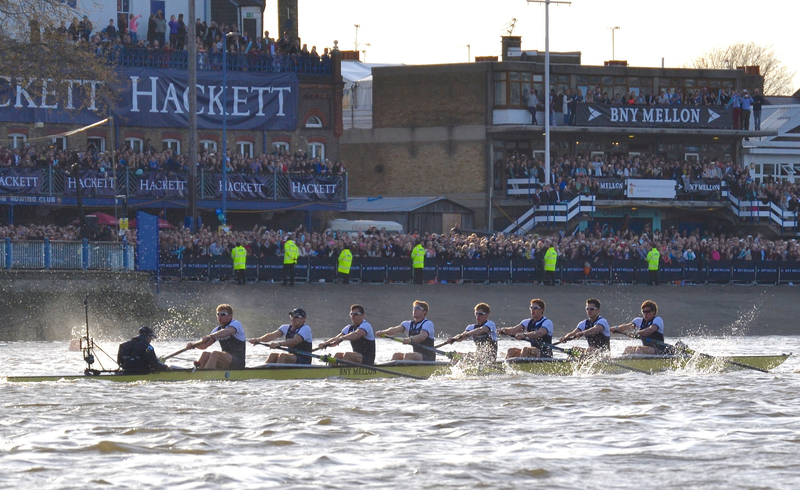 No ‘non-students’ have ever become members of Boat Race Crews. Academic standards are not lowered for rowers, however fast they move boats, and Blues tend to do well in their degrees. There has been one eligibility controversy in my memory, when Thorsten Engelmann rowed for Cambridge in his first and second years (2006 and 2007), but then left without finishing his degree. While it is disgraceful that this sort of thing should happen in the Boat Race every 177 years, it does not make a ‘fair share of minor scandals’. 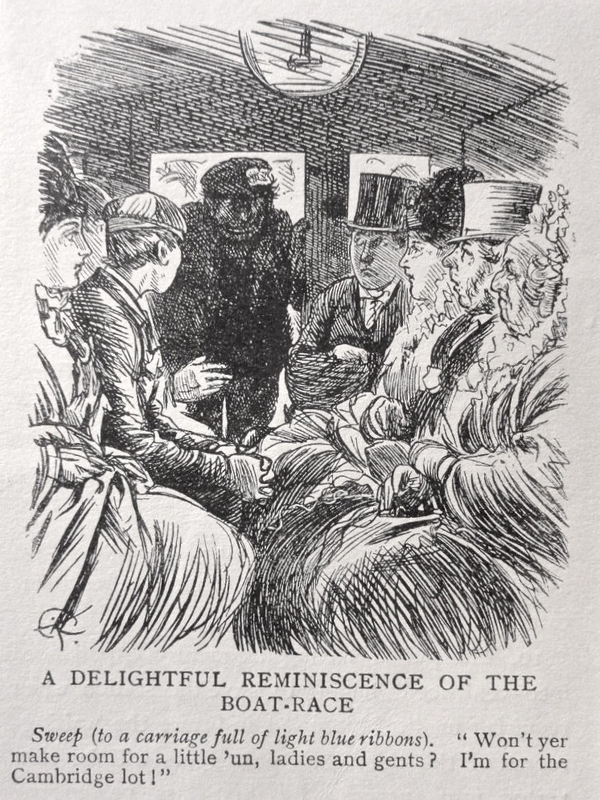 A Victorian cartoon recognising that Boat Race supporters come from all classes. Britain tends to do well in international rowing competitions, I realise, because it is one of those sports, like the horsey stuff and the skiing, that isn’t really truly international at all, and if it were then things might be different. There is no rowing team from Kenya. O’Grady shows investigative journalism at its finest when he finds that rich countries have an advantage in sports that need an expensive infrastructure, and that countries with snow do best at winter sports. Thus, the Kenya Canoe and Rowing Federation has virtually no money or facilities and the ‘rowing team’ (sic) from their country last competed internationally in 2015. However, Kenya produces large numbers of brilliant distance runners and it dominates the world’s long-distance races. Does this imbalance mean that marathon running and the like are not ‘truly international’ and can thus be held in contempt? Even in the world’s most popular and most accessible game, soccer, European and South American countries are easily the most successful. O’Grady needs to tell us which sports are ‘truly international’ so we can join him in showing scorn for those that are not. A cartoon from the 1920s with another reference to the unlikely people who support the Boat Race. Eton Dorney cost £17m of Eton College money and half-a-million pounds of public money. This would be disgraceful if the lake was only for the famous school’s use, but it is not. Fifty days of major sporting events take place at Dorney each year. For a reasonable fee, rowers, canoeists, triathletes, runners and swimmers all use this fantastic facility, one that cost the public purse relatively little to build and nothing to run. Some ‘braying idiots’ (?) watching preparations for the 1930 Boat Race. Not surprisingly for the time, the Oxford crew were ‘poshos’. However, Lewis Clive at ‘6’ was killed in Spain in 1938 while fighting Fascism, so perhaps O’Grady will forgive him his accident of birth. 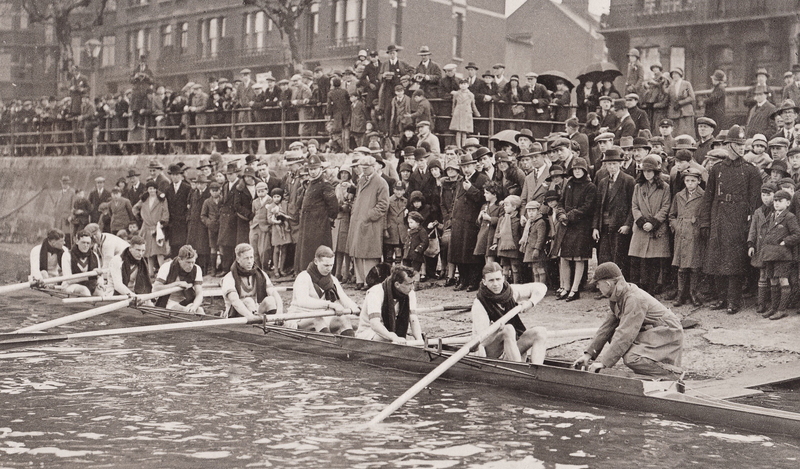 Boat Race crews are picked from members of the two universities, neither of which reflect the multi-ethnicity of much of metropolitan Britain. But, this is something for the university admission authorities to deal with, not their Boat Clubs or the Boat Race. However, this is a subject that O’Grady knows something about. 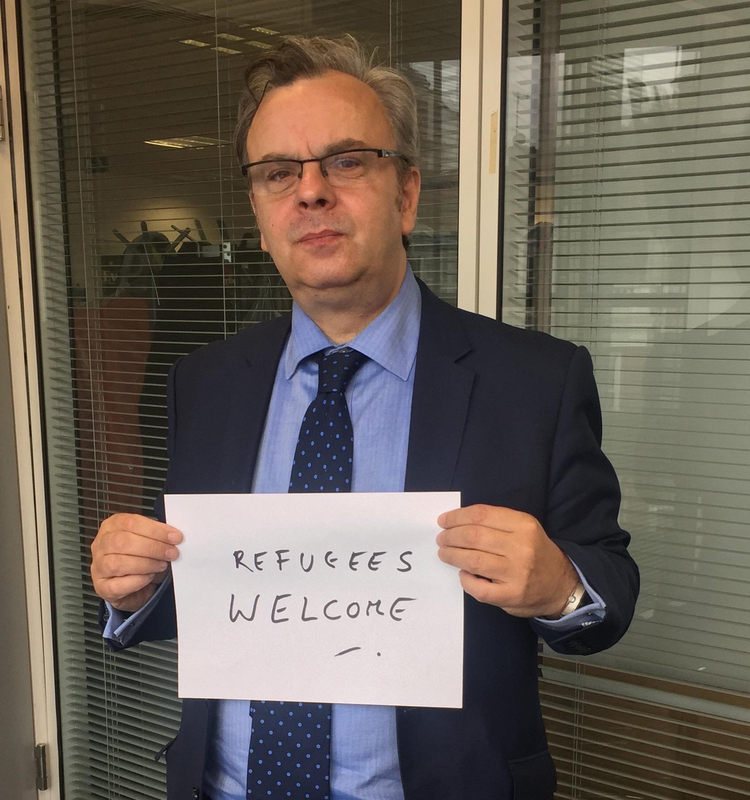 His Independent byline tells us that before working for them, ‘he enjoyed a varied career in Parliament, the City and at the BBC’. I do not think that he could have joined three more ‘hideously white’ institutions if he had tried. Perhaps it was all research? Perhaps the Independent’s newsroom reflects multi-ethnic Britain? In a brief random search of reporters’ bylines at the top of some Indie news stories, I found a lot of white men, a few white women, and one Asian name. Like those questions about Greek mythology on University Challenge, the infamous photo of David Cameron, Boris Johnson, George Osborne et al in the Bullingdon Club rigout, and the whole Brideshead Revisited thing, the Boat Race is a symbol of something deeply unattractive. Is knowledge of Greek mythology ‘a bad thing’? This objection reveals O’Grady’s inverted snobbery. His Independent byline is careful to tell us that ‘he drives a Skoda Octavia and lives in an unfashionable district of south London’. I do not know what the Associate Editor of the Independent earns, but I suspect that it is enough that, were he not in the vanguard of the class struggle, O’Grady could live in a district that cab drivers will go to at night and that he could own a car with a German and not a Czech heritage. I am not going to defend the Bullingdon – save that we all do stupid things when students. True, Brideshead is largely about unpleasant and overprivileged people, but does this make admiring this modern classic something undesirable? For those of us who know a little about it, the Boat Race is not a symbol ‘of something deeply unattractive’, it is about huge dedication and sacrifice for little tangible reward. Sean O’Grady shows his liberal credentials. Picture: @_SeanOGrady. The Boat Race just makes me cringe. It is better sunk. According to an October 2018 story in rival newspaper, The Guardian, the Independent has recently gained a new business partner, a publisher with ‘close ties’ to the rulers of the country in which it is based, a place somewhat lacking in liberal policies, press freedom and respect for journalists – Saudi Arabia. Sean, it is this partnership that should make you cringe, not a simple boat race enjoyed by millions of ordinary people, people that you have insulted in your crass and unworthy article. You owe them an apology.